Backing up and restoring information. Apple has created new foolproof backup software that enables you to recover from big problems with ease. Your MacBook Pro takes a snapshot of your MacBook that enables you to recover the data from your last backup. It is very important to backup religiously and very often. You will be able to restore and review information with a click of a button. Time Machine works with Apple Time Capsules and external hard drives. Time Machine backs up monthly, weekly, daily, or hourly so you will always be able to recover the latest version of your data. The touch bar is a new feature on your latest MacBook Pro that replaces your function buttons and enables you to customize it according to your needs and what you use the most. You are also able to set up different applications including third-party applications to improve your workflow. You are able to set up an extreme 14-digit password without entering it every time you want to log into your MacBook Pro. Your MacBook Pro will unlock your screen automatically within seconds when it detects your Apple watch, which eliminates the tedious process of typing and remembering a 14-digit password. The new MacBook Pro no longer has USB-A ports, SD card slots or MagSafe chargers. Apple fitted the latest MacBook Pro with the advanced USB-C ports (USB -C is slightly larger than the micro-B connector). This factor will be great for the future technology but it will take some getting used to. When testing the MacBook Pro the battery life was very inconsistent. With some MacBook Pro’s you would get 16 hours and with others, you would get just over 3 hours. The capped RAM is a great disappointment as many users want 32GB RAM because of multitasking and demanding tasks. However, the MacBook Pro comes standard with 8GB RAM which is suitable for many users that do not have a high demand of multitasking in everyday office tasks. The MacBook Pro runs on either Intel core m7, m5 or m3 processor, depending on your configuration. The entry-level default model has a 1.1GHz dual-core Intel Core m3 processor and 256GB PCIe flash storage. The model up has a 1.2GHz dual-core Intel core m5 processor and 512GB of PCIe flash storage. Both models can be upgraded to a dual-core Intel Core m7. 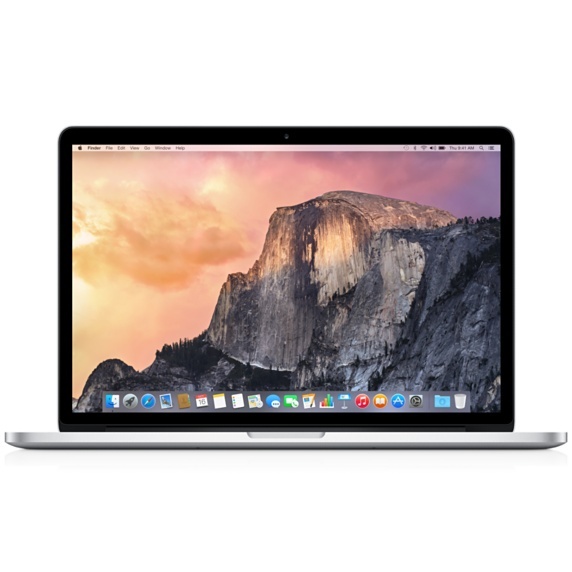 In short, when you are looking at purchasing a MacBook Pro you have a few decisions to make. Choosing your processor and storage is most important, as what you choose is not upgradeable and has to last for the remainder of the product’s lifespan. iPhone 4 on Verizon's network to launch after Christmas?